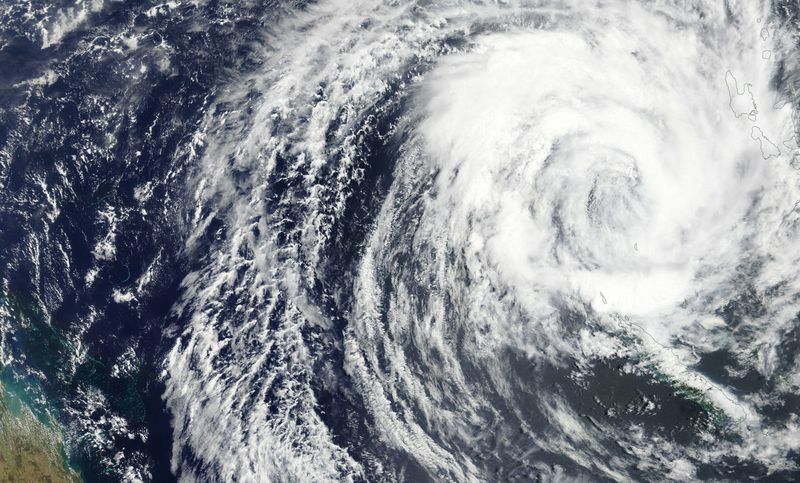 Cyclone Oma intensified to a damaging category three storm, Australia’s Bureau of Meteorology said Wednesday, warning that it could bring severe weather to the continent after hitting the Pacific Islands. In the early hours of Wednesday Oma produced winds of up to 185 kilometers (115 miles) per hour, roughly equivalent to a category one hurricane. It is currently gusting far off the Australian coast, having passed New Caledonia, where high winds cut electricity, destroyed crops, downed trees and shuttered schools and businesses. New Caledonia’s Civil Security agency reported on Tuesday that around 3,000 people were without power and dozens of telecoms towers were affected. The storm also produced torrential rain in Vanuatu, where clean up operations are underway. “Severe Tropical Cyclone Oma is expected to move slowly southwest over the Coral Sea during the next few days,” the Bureau said. The storm is expected to bring “abnormally high tides” to parts of southern Queensland on Australia’s east coast as it edges closer. “A severe weather warning and hazardous surf warning are current,” the Bureau said.